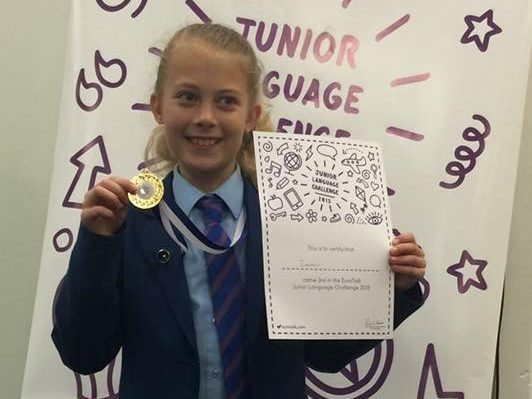 Our young linguists entered the Junior Language Challenge competition last term. Having learnt Portuguese in the first round and Mandarin Chines in the second Isobel Eason and Laura Watson learnt Arabic for the final held in London. Both girls did incredibly well Isobel being placed third overall and Laura coming in the top thirty. Following on from this success Isabel has been asked to join the Child Genius programme on Channel 4. Well done to all those who entered the competition but especially Isobel and Laura.